Luckily, there are simple ways that you can help your horse stay cool during hot humid weather. During these weather conditions, the first thing to do is to calculate the temperature-humidity index (THI): simply add the air temperature (in degrees Fahrenheit) to the percentage of humidity. Another method to check whether your horse is getting too hot during humid weather is to take his temperature. A horse’s normal temperature range is between 99.5 and 100.5 degrees Fahrenheit, and can reach 103 and 104 degrees during workouts. If your horse’s temperature reaches 105, he is danger of being overheated and can suffer chronic or permanent damage. Above 105 degrees, your horse will be suffering from heatstroke and will need immediate veterinary attention. Like people, most horses prefer to drink cool tasty water on hot humid days. For a horse that means having access to plenty of cool (shaded) water in deep buckets or troughs. In hot weather many horses want to drink deeply. Drinking plenty of cool water will help your horse stay cool. A horse at rest will drink 10 gallons or more per day, while a horse in work can drink twice as much. Avoid automatic waterers, which only allow horses to sip rather than gulp water. Plus, water from these automatic devices tend to taste like chlorine, which many horses dislike. Horses in training should be kept as cool as possible before, during, and after workouts. Before starting a training session, you may want to hose down your horse with cool water. Keep training sessions short and to-the-point, as horses worked at higher intensity over a short period of time are less likely to overheat than horses worked at low intensity over a long period of time. Finally, wash your horse down after his workout. Be sure to scrape off excess water after his bath since water can act as an insulator if left on his skin. Don’t bathe horses who have trouble sweating (anhydrosis). Instead, sponge these horses with air-temperature water mixed with a liniment like Sore No More. 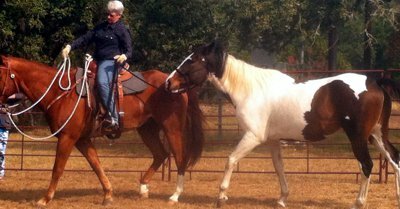 This practice also helps horses who are prone to heat rashes. Don’t feed a lot of hay during hot humid weather since the digestive process can make your horse feel even hotter. Instead, consider cutting back on grass hay and adding a flake of alfalfa. In addition, you can keep your horse’s gut healthy and functioning with probiotics such as Acidophilus and Bifidus from Simplexity Health, or Pro-Bi. Offer daily electrolytes in the morning feed if your horse is in work. Finally, consider adding cooling foods such as blue-green algae, apples, citrus foods, barley grass, fresh peppermint, lemon balm, or cilantro. Depending on your horse’s particular health issues and Five-Element type, you may need to personalize your horse’s management program to keep him from overheating. For instance, Earth or Earth/Metal types need to receive reduced electrolytes if they start “stocking up” or retaining moisture in their bodies. I detail much more about how you can care for your horse holistically in the “Holistic Horsekeeping” book.Find out more about the book. If you need help creating a holistic nutritional and support program for your horse during the heat, you may want to consider a personalized nutritional consult. Get the details here.